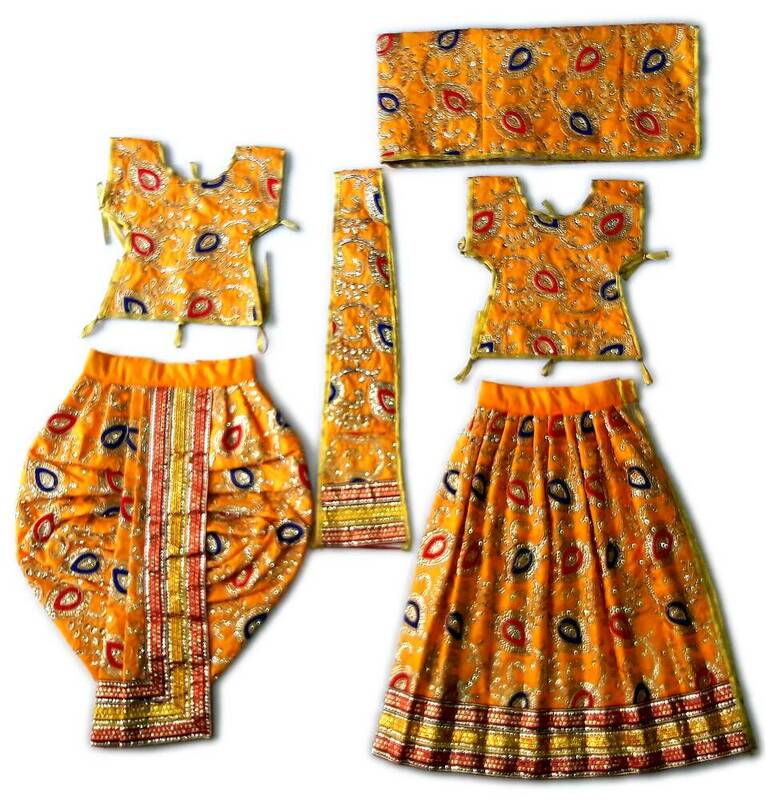 Outfits for Radha Krishna Dieties available in many sizes and colors. These are nice hand made dresses with embroidery. Deity size is measured from the bottom of Krishna's base to the top of His head. Sizes are intended for brass Deities.